Today I’m going to share some photos of a scrapbooking event I did a few years back. One of the pictures actually showed up on my Facebook page as a memory so I thought I’d share with you all. The Historical Society supplied the pictures and I supplied the layouts and materials. I was really excited about this… I had so much fun looking up the historical information for the pages! They included a tour of their research area! The photos included Main Street, our Theater, the now Historical Society Building which used to be the jail and county building and then our Train Depot … which we all know the train tracks were removed in West Bend. They wanted a fun way to show people their vast resource (research) center. 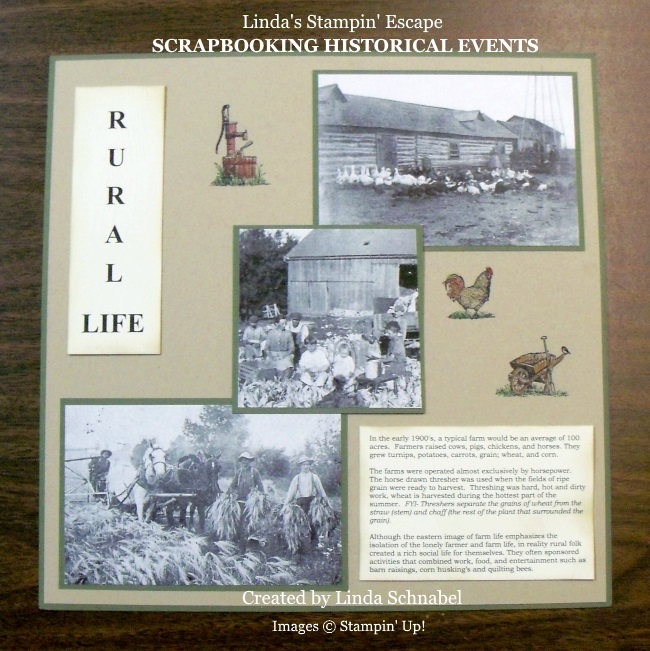 The Washing County Historical Society does so many fun things to involve the communities and showcase the facility and a friend of mine gave them my name as a scrapbooker. Although these pictures are of people “I don’t know” … it’s more about the HISTORY, so if you are scrapbooking your genealogy lineage or just going back in time on your scrapbooks for your children, don’t be afraid to include the history, it is really fascinating! I had a blast learning about what the culture was like in the early beginnings of our county and town. 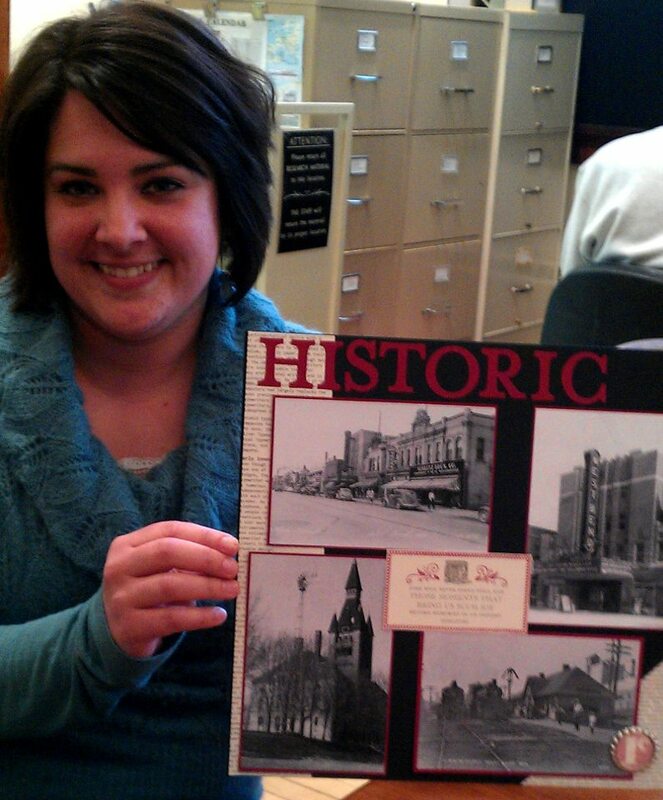 So have fun with your scrapbooks and add a little history … you’ll enjoy discovering some amazing facts. Have a great day and thank you for going down memory lane with me. « Free Stamp Set & Sale-a-bration Goodies! !